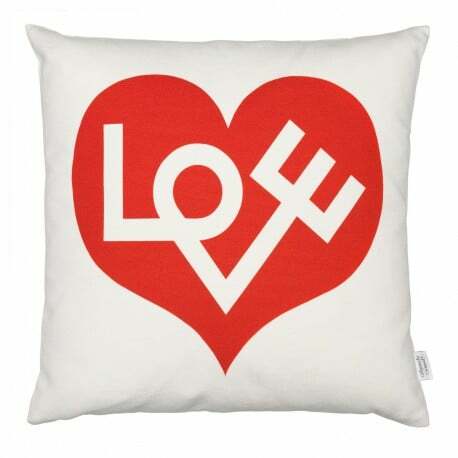 Buy Vitra Graphic Print Pillow: Love, red by Alexander Girard, 1961 - The biggest stock in Europe of Design furniture! 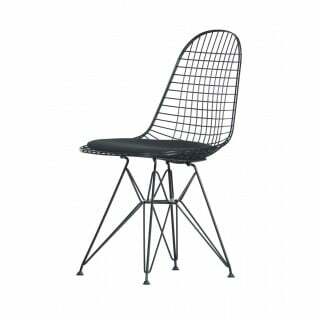 The architect and designer Alexander Girard was one of the leading figures in American design during the postwar era. His passion for colours, patterns and textures found expression in the field of textile design, which was a focal part of his oeuvre. In his work, Girard paired motifs from folk art sources with abstract patterns. Many of his figures and patterns exude a cheery playfulness, and thanks to their vivid colours, even his simplest graphic motifs possess a high degree of differentiation. The Graphic Print Pillows are now bringing a number of these designs to life again: abstract graphics and expressive figurative motifs create striking accents. The soft pillows are optimally suited as a decorative accessory for a diverse range of interior styles. In addition to the Graphic Print Pillows, the collection also includes the Maharam Pillows and the Classic Maharam Pillows. The inkjet-printed washable pillow covers are made of 100% cotton. The Graphic Print Pillows are available in the sizes 40 x 30 and 40 x 40 cm. Filling: duck half down. Fabric: 100% cotton, printed.